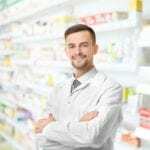 In community pharmacies, technicians are the ones that greet customers, enter the prescription into the computer, and read, interpret, package and label prescriptions for dispensing. 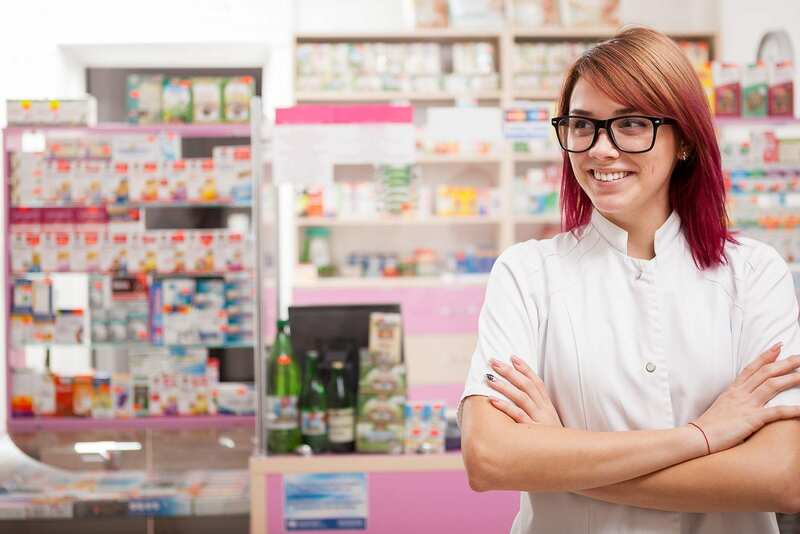 Though pharmacy technicians cannot replace the pharmacist’s role, they play in vital role in light of the shortage of pharmacists and increased demands for prescription drugs. In many retail and institutional pharmacies, technicians on staff outnumber pharmacists by almost 50 percent. 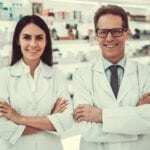 They support the pharmacist by conducting administrative tasks, data entry, ringing sales, counting pills, answering customer questions, billing insurance companies, and maintaining inventory, which leaves the pharmacist free to conduct more important functions. Technicians do not need to be certified in Florida. However, taking the 100-question PTCB test is recommended as it gives technicians a competitive advantage in the search for employment. Moreover, certified technicians receive better salaries based on the level of responsibilities they conduct in the pharmacy. As the number of prescriptions rise in response to aging baby boomers using more medications to manage chronic illnesses, there will be more employment opportunities for pharmacy technicians. They will focus on the technical functions of the pharmacy operation, giving pharmacists the freedom to focus on patient counseling and clinical functions. The pharmacy technician program at Florida Gulf Coast University blends chemistry, math, and medicine to prepare students for success on a national certification exam. The program is available in hybrid online and in-person format. Students learn how to mix intravenous solutions, provide medication and other health care products to patients, count tablets and label bottles, handle computer order entry, receive electronic prescriptions, verify complete and accurate prescriptions, and stock and inventory prescription. Students also gain experience with IV therapy that give them a competitive advantage when applying for hospital jobs. The hybrid course format runs for 21 weeks. Students will complete 10 hours of online lectures weekly, attend onsite pharmacy workshops for labs and assessments one per week, participate in online Q&A chat sessions once per week, and participate in a 120-clock hour externship. Students are also required to be physically present at the school for the student orientation, midterm exam and final exam. The externship experience provides exposure to a real-world pharmacy setting and serves as a reference for future employment. Tuition costs $2,899. The pharmacy technician program at Rasmussen College includes developmental education courses, general education courses, and major core courses. It prepares students for employment in retail and clinical pharmacies. Graduates have a complete understanding of the theory of pharmacy practice and are able to perform tasks, such as receiving, interpreting, entering and filling prescriptions. They know how to use software programs to manage and process prescriptions and update patient profiles. Course topics include medical terminology, medical law and ethics, patient confidentiality, pharmacy math, practical math, reading and writing strategies, customer service in healthcare, career development, sterile and non-sterile compounding, pharmacology, and pharmacy technician capstone. At the conclusion of the program, students will have completed 38 credits in nine months. Applicants must have the high school diploma and pass a criminal background check. Tuition and fees cost $14,120. Cape Coral Technical College prepares students for a new career in pharmacy. Students earn the skills needed to start a career as a pharmacy technician. They will also participate in a basic health care worker course that will make them eligible to work in various areas in health care. The training includes CPR Heartsaver training and certification. Course topics include pharmacology, body systems and functions, pharmacy software, counting, pouring, and drug compounding, prescription filling, medication dispensing, drugs and their effects, and pharmacology. Through affiliations with local pharmacies, students have the opportunity apply the knowledge received in the classroom and lab experiences and earn a valuable job reference. The training is approved by the Florida State Board of Pharmacy and covers 1050 clock hours of theory and practical learning experience. Graduates are eligible for state licensure and may sit a national exam to become a Certified Pharmacy Technician. Applicants must meet with a representative from the admissions office before enrolling. Other requirements include a tenth-grade level in Reading and Language and an eleventh-grade level in Mathematics on the TABE. Students must have use of a computer and complete drug screen, background check, and immunizations for the pharmacy externship. Tuition for the 35-week program is $3,423. Books and supplies cost an additional $869.